These are different than some 60w versions I remember seeing probably about 8 years ago now, but not far off. They were definitely soft white; these are more like a GE 'Basic'? Typical Sylvania with the variable soft white thickness. 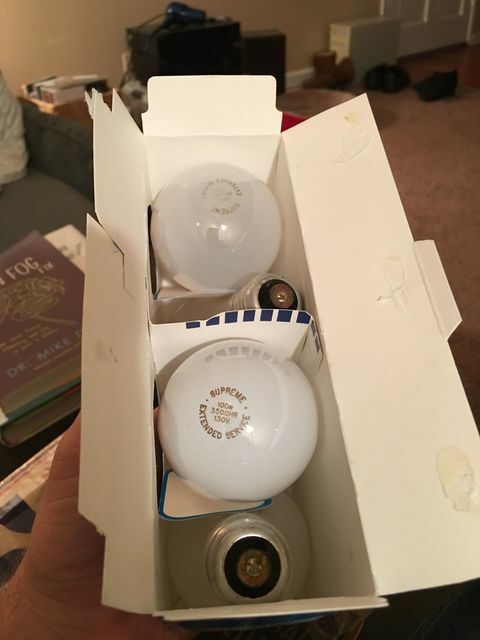 Front bulb is really thick and the back bulb looks thinner, like a GE Basic. Interesting how that happens within the same package.